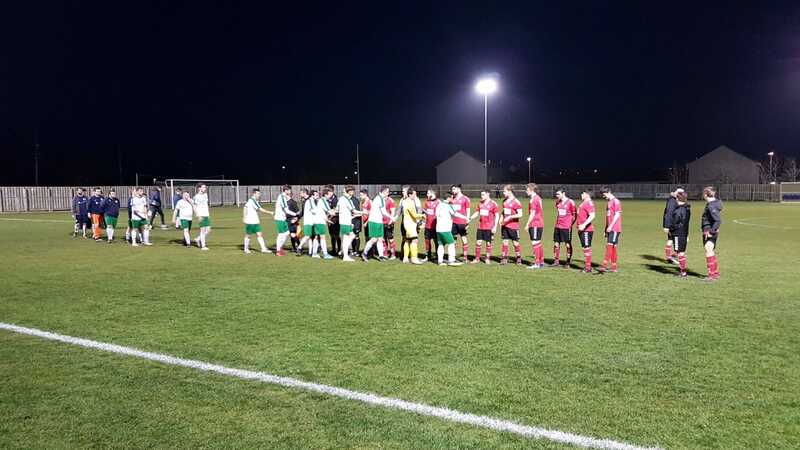 In front of a large and noisy crowd, Mousehole Reserves were hard pressed to survive a first-half series of scares before settling this tie with a much-improved performance after the interval. The Seagulls had never before reached the semi-final of Cornwall’s oldest Cup competition, and for the first 45 minutes it looked as though that would be the end of this season’s journey. Frogpool, who currently lead their Division with 17 wins from 22 league matches, dominated the opening half, exploiting gaps with quick passing and strong forward runs. Mousehole were unable to impose themselves on the pattern of play and relieved to get through to half-time at 0-0, after the woodwork kept out fierce drives from easy chances on two occasions, keeper Dom Angove pulled off a stunning save on 17 minutes to keep out a harshly awarded penalty, and three other promising positions were wasted. Some changes in personnel and tactics transformed the balance of play right from the start of the second period, with Mousehole closing down the space and passing with greater care. And ten minutes in, Michael Fitchett showed his opponents how to put away a chance when he nipped in front of his marker to steer a low cross inside the near post with a deft touch to make it 1-0. Now full of confidence, and spurred on by their big contingent of supporters, The Seagulls started to dominate proceedings, with little seen of the attacking threat that had seen them on the back foot for the whole of the first half. 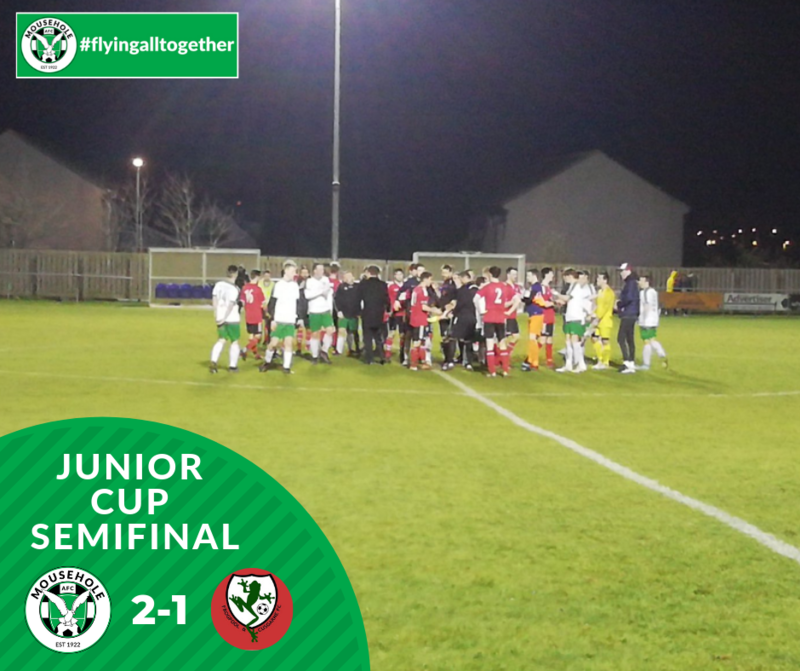 Caleb Marsden doubled the lead on 78 minutes, finding space on the edge of the box after a corner to place a carefully aimed shot into the net. Frogpool came back into the game in the last few minutes, Sam MacWilliam reducing the arrears in the 88th minute, but a minute later Callum George nearly made the game safe at the other end with a drive that cannoned off the crossbar and down on to the line. Dom Angove had the last word in the 95th minute, denying an equaliser and removing the prospect of extra time by bravely blocking a close-range shot. 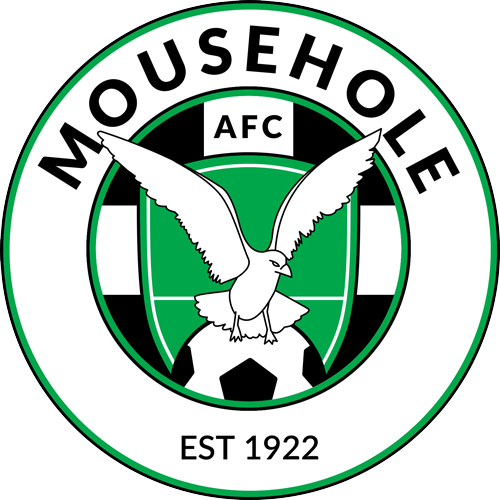 Mousehole Reserves have played away in every round of the Junior Cup this season, and will now face in the Final on Sunday 5th May (venue to be confirmed) the winners of tonight’s other semi-final between Foxhole Stars and Illogan RBL Reserves being played at Penryn Athletic AFC. *Strange but true: Helston’s Kellaway Park was the venue this time last year when Mousehole’s First team also created history by winning their first-ever Cornwall Senior Cup semi-final against St Austell. Scorers: Mousehole – Michael Fitchett 56, Caleb Marsden 78. Frogpool – Sam MacWilliam 88.